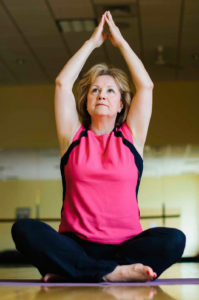 Join us for gentle stretching, yoga postures, and breathing exercises all which are designed to build flexibility, balance and strength without getting up and down from the floor. All work done seated or standing with chair for support. KRIPALU YOGA Join us for movement, breath-work and guided relaxation all designed to build flexibility, balance, strength, and mindfulness. Appropriate for all levels of yoga experience, including beginners. You MUST be able to get up and down from the floor without assistance. INSTRUCTOR: Judi England, RN, Sr. Health Education Coordinator for the NNORC and Kripalu Yoga Certified Instructor with over 20 years experience. ← JFS Annual Celebration Raises $25,000!